It's funny how you have no idea of the scale of some things. 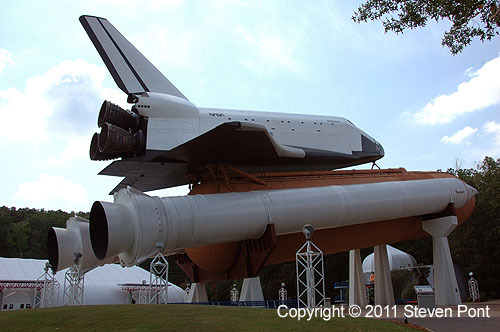 The Space Shuttles fall into this category. You know intellectually that a rocket is a pretty big thing, but you don't really appreciate the size until you stand next to one. Space is big. You just won't believe how vastly, hugely, mind-bogglingly big it is. I mean, you may think it's a long way down the road to the chemist's, but that's just peanuts to space.